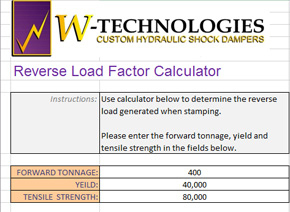 W-Technologies designs and builds a line of standard hydraulic shock dampers that when installed in blanking process can eliminate the break through shock. Need a Solution for Press Noise Reduction? Our shock dampers are designed to provide a counter pressure force, upward, at the moment of part breakthrough. 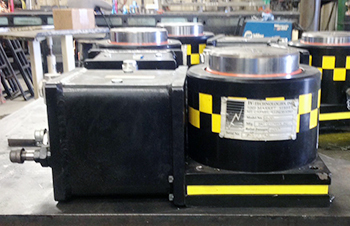 Properly sized and adjusted, our shock dampers will eliminate the reverse load or tonnage during blanking. They will also allow you to increase your blanking capacity (tonnage) on each press that has dampers. 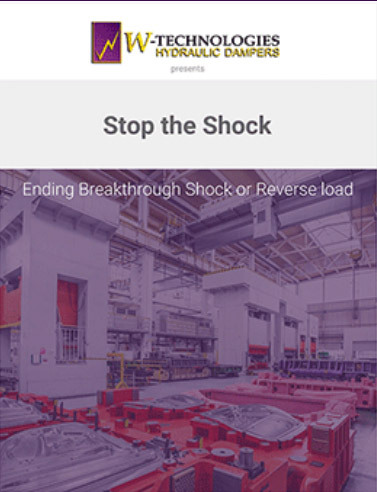 To estimate the reverse load (break through shock), your press is experiencing, please use this quick and simple calculator. We back our products with a 100% customer satisfaction guarantee. 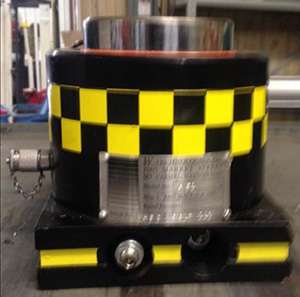 If the hydraulic dampers do not meet the customer satisfaction, all financial obligation is cancelled and returned. 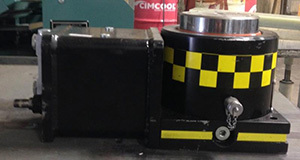 Through the course of a day your press undergoes a substantial amount of stress, we have come up with a modern solution to reduce wear and tear to a bare minimum. Find out more in our "How It Works" section and view our presentation below. Easier setup and reduced down times. 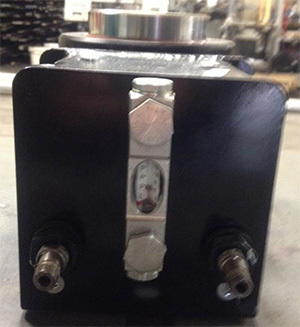 The unique external flow control/needle valve is used to adjust the internal pressure. This allows for increasing or decreasing resistance translating into dampers which can work with a greater tonnage range. Don’t waste time running your press to test and then adjust again. Test it right way with the Pressure Gauge Test Port, which can be removed and plugged after setting to desired pressure. The Sight Gauge indicates hydraulic fluid level and temperature so you can react before anything happens. Is heavy gauging staming causing excessive noise and vibrations? You could be damaging your equipment!